The Japanese yen has gone on a free fall against the dollar. As I write this one dollar is worth around 98.5 yen. Five days back on April 5, 2013, one dollar was worth around 93 yen. In between the Japanese central bank announced that it is going to double money supply by simply printing more yen. The hope is that more yen in the financial system will chase the same amount of goods and services, and thus manage to create some inflation. Japan has been facing a scenario of falling prices for a while now. During 2013, the average inflation has stood at -0.45 percent. And this is not a recent phenomenon. In 2012, the average inflation for the year was 0 percent. In fact, in each of the three years for the period between 2009 and 2011, prices fell on the whole. When prices fall, people tend to postpone consumption, in the hope that they will get a better deal in the days to come. This impacts businesses and thus slows down the overall economy. Business tackle this scenario by further cutting down prices of goods and services they are trying to sell, so that people are encouraged to buy. But the trouble is that people see prices cuts as an evidence of further price cuts in the offing. This impacts sales. Businesses also cut salaries or keep them stagnant in order to maintain profits. As The Economist reports "A survey by Reuters in February found that 85 percent of companies planned to keep wages static or cut them this year. Bonuses, a crucial part of take-home pay, are at the lowest since records began in 1990." In this scenario where salaries are being cut and bonuses are at an all time low, people will stay away from spending. And this slows down the overall economy. For the period of three months ending December 2012, the Japanese economy grew by a minuscule 0.5 percent. In three out of the four years for the period between 2008 and 2011, the Japanese economy has contracted. The hope is to break this economic contraction by printing money and creating inflation. When people see prices going up or expect prices to go up, they generally tend to start purchasing things to avoid paying more for them in the days to come. This spending helps businesses and in turn the overall economy. So the idea is to create inflationary expectations to get people to start spending money and help Japan come out of a more than two decade old recession. The other impact of the prospective increase in the total number of yen is that the currency has been rapidly falling in value against other international currencies. 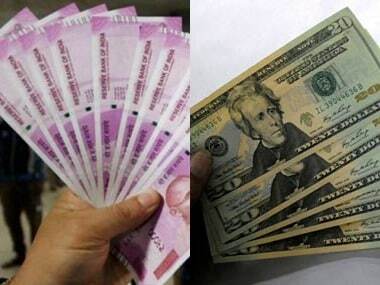 It has fallen by 5.9 percent against the dollar since April 4, 2013. And by around 26.5 percent since the beginning of October, 2012. The yen has fallen faster against the euro. As I write this one euro is worth 128.5 yen. The yen has fallen 7.5 percent against the euro since April 4, 2013, and nearly 28 percent since the beginning of October, 2012. As the yen gets ready to touch 100 to a dollar and 130 to a euro, this makes the situation a mouthwatering investment prospect for a certain Mrs Watanabe. Allow me to explain. In the late 1980s, Japan had a huge bubble in real estate as well a stock market bubble. The Bank of Japan managed to burst the stock market bubble by rapidly raising interest rates. The real estate bubble also popped gradually over a period of time. After the bubbles burst, the Bank of Japan, started cutting interest rates. And soon they were close to 0 percent. This meant that Japanese investors had to start looking for returns outside Japan. This led to a certain section of Tokyo housewives staying awake at night to invest in the American and the European markets. They used to borrow money in yen at close to zero percent interest rates and invest it abroad with the hope of making a higher return than what was available in Japan. Over a period of time these housewives came to be known as Mrs Watanabes (Watanabe is the fifth most common Japanese surname) and at their peak accounted for around 30 percent of the foreign exchange market in Tokyo. The trading strategy of Mrs Watanabes came to be known as the yen-carry trade and was soon being adopted by some of the biggest financial institutions in the world. Other than low interest rates at which Mrs Watanabes could borrow the other important part of the equation was the depreciating yen. Japan has had low interest rates for a while now, but the yen has been broadly been appreciating against the dollar over the period of last five years. This is primarily because the Federal Reserve of United States has been printing money big time, something that Japan has also done, but not on a similar scale. Now the situation has been reversed and the yen has been rapidly losing value against the dollar since October 2012. And this makes the yen carry trade a viable proposition for Mrs Watanabes. In early October a dollar was worth around 78 yen. Lets say at this price a certain Mrs Watanabe decided to invest 780,000 yen in a debt security internationally which guaranteed a return of 3 percent in dollar terms over a period of six months. The first thing she would have had to do is to convert her yen to dollars. She would get $10,000 (780,000 yen/78) in return. A 3 percent return on it would mean that the investment would grow to $10,300 at the end of six months. This money now when converted back to yen now when one dollar is worth 98.5 yen, would amount to around 10,14,550 yen ($10,300 x 98.5). This means an absolute gain of 234,550 yen (10,14,550 yen minus 780,000 yen) or 30% (234,550 expressed as a percentage of 780,000 yen). So a gain of 3 percent in dollar terms would be converted into a gain of 30% in yen terms, as the yen has depreciated against the dollar. This depreciation is now expected to continue and hence expected to revive the prospects of the yen carry trade. As Ambrose Evans-Pritchard writes in The Daily Telegraph "The blast of money is expected to reignite the yen "carry trade" and flood global markets with up to $2 trillion (1.3 trillion) of pent-up savings, giving the entire world a shot in the arm." This money is expected to go into all kinds of investment avenues including stock markets. As Garsh Dorsh, an investment letter writer, writes in his latest column "Most recently, the key driver that's lifting stock markets higher around the world is the massive flow of liquidity via the infamous Japanese "Yen Carry" trade." Over a period of time the yen carry trade feeds on itself further driving down the value of yen against the dollar. As one set of investors make money from the carry trade it influences more people to get into it. These people sell yen to buy dollars leading to a situation where there is a surfeit of yen in the market in comparison to dollars. This further drives down the price of yen against the dollar. The more the yen falls against the dollar, the higher the return that a carry trade investor makes. This in turn would mean even more money entering the yen carry trade. And so the cycle, which tends to get vicious, works. As George Soros, the hedge fund manager, told CNBC: "If what they're doing gets something started, they may not be able to stop it. If the yen starts to fall, which it has done, and people in Japan realise that it's liable to continue and want to put their money abroad, then the fall may become like an avalanche." And this can only mean more and more yen chasing various investment avenues around the world and leading to more bubbles. But that's just one part of the story. The Japanese yen has been depreciating against the euro as well. This has made Japanese exports more competitive. A Japanese exporter selling a product for $10,000 per unit would have made 780,000 yen ($10,000 x 78 yen) in early October. Now he would make 10,14,550 yen ($10,300 x 98.5) for the same product. In October one dollar was worth 78 yen. Now it is worth 98.5 yen. A depreciating yen means higher profits for Japanese exporters. It also means that the exporter can cut price in dollar terms and make his product more competitive. A 20 percent cut would mean the Japanese 788,000 yen ($8000 x 98.5 yen), which is as good as the 780,000 yen he was making in October 2012. This increased price competitiveness has already started to reflect in numbers. 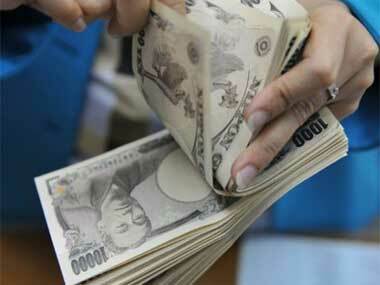 Japan reported a current account surplus of 637.4 billion yen ($6.5 billion), for the month of February 2013. This was the first surplus in four months and was primarily driven by increased export earnings. The trouble of course as Japanese exports get more competitive on the price front it hurts other export oriented countries. The yen has lost nearly 28 percent against the euro since October. 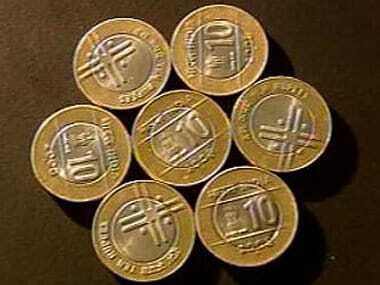 This has had a negative impact on countries in the euro zone countries which use euro as their currency. For January 2013, seventeen countries which use the euro as their currency, in total logged a trade deficit (the difference between exports and imports) of 3.9 billion euros. Japan also competes with South Korea primarily in the area automobile and electronics exports. Hyun Oh Seok, the finance minister of South Korea, said last month that the yen was "flashing a red light" for his nation's exports. Of course if Japan can resort to money printing, so can other nations in-order to devalue their currency and ensure that their exports do not fall. It could lead to a race to the bottom. As James Rickards author of Currency Wars: The Making of the Next Global Crisis puts it "we are well into the third currency war of the past 100 years....I am certain that we are closer to the critical state than we ever have been before "